First time commenting on a forum, so please be gentle with me. I’ve recently embarked on purchasing, servicing & reselling 464’s as a hobby whilst being between work at postgraduate studies. Having bought four 464’s so far, it is only my fourth purchase on eBay that has thrown up any real issues. Upon delivery, I connected the 464 to a working monitor, powered it up and discovered that it has an issue with displaying any graphics (I’ll add photos to the thread in due course); from what I’ve researched, it will hopefully be a RAM issue that can be resolved by replacing a chipset, however if this isn’t the solution, your advice will be most welcome! Hi Nick, welcome to the forum! You are at the right place for helping that CPC. Hi Nick, you'll need to put up a bit more information one thinks. Please post some pictures of the corrupted graphics and of your CPC’s circuit board. 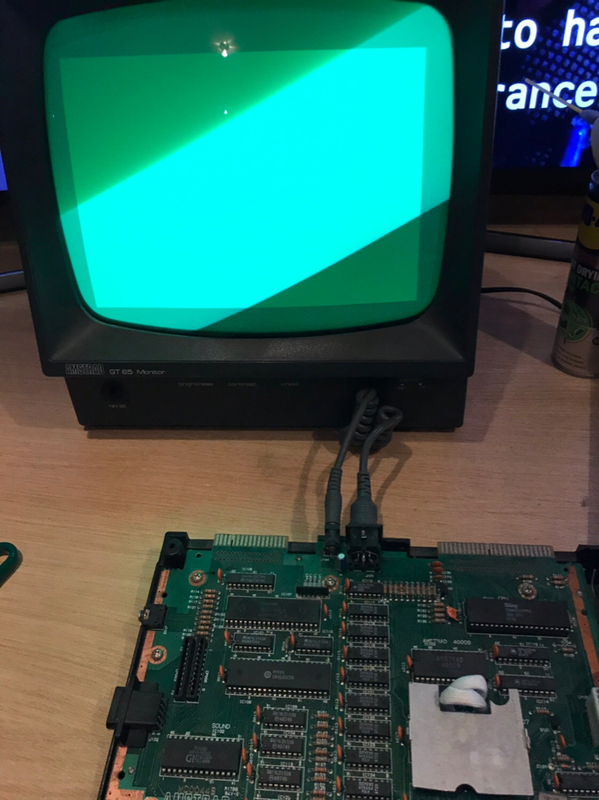 So having opened up the 464 (it’s a MC0044B board) and tested the RAM piggybacking the 4164 chipsets using a good chip, swapping the ULA & CPU for good chips, this didn’t solve the issue. Can anyone suggest any other ideas? Try running the RAMTest, piggybacking RAM chips will only work for certain RAM failures. A stuck bit or a short inside the RAM will still not boot with piggybacking. Thanks Bryce, can you point me in the direction of a thread that gives a walkthrough of running the RAM test? This is the first time I’ve encountered a RAM issue that’s required more than piggybacking as a solution! 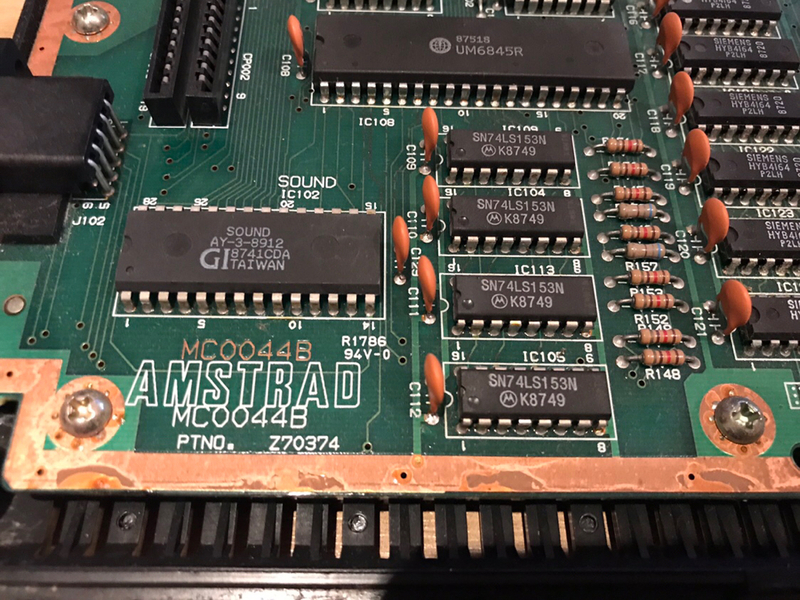 Hmm, it appears to be the same issue as i have with my Schneider cpc 464. Does your one sizzle when you turn it on? Does it sometimes show anything other than the big rectangle? Page created in 0.113 seconds with 54 queries.